We've all been in a place where we aren't supposed to use our phone and just want to sneak a quick look, but if you're an NBA player on the bench during a playoff game, it might be better to resist the urge. 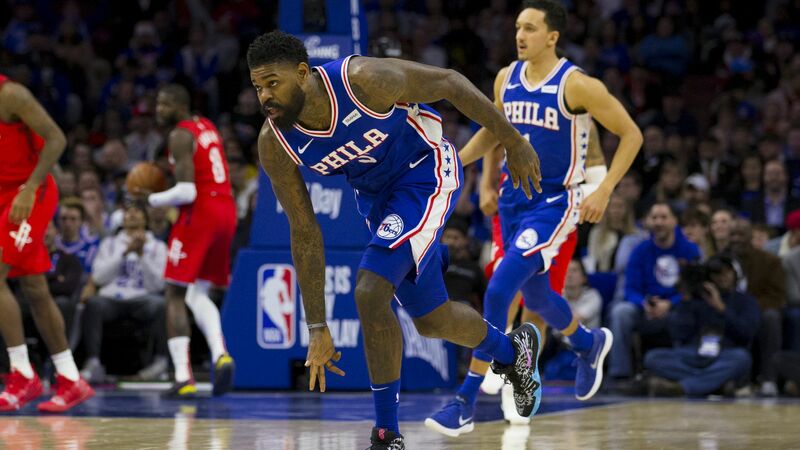 Driving the news: Amir Johnson found that out the hard way, as TV cameras captured him looking at his phone during the fourth quarter of Saturday's Sixers-Nets game. League rules prohibit use of cellphones during games and call for a suspension or fine, and Johnson got both a fine and a reprimand from his coach.